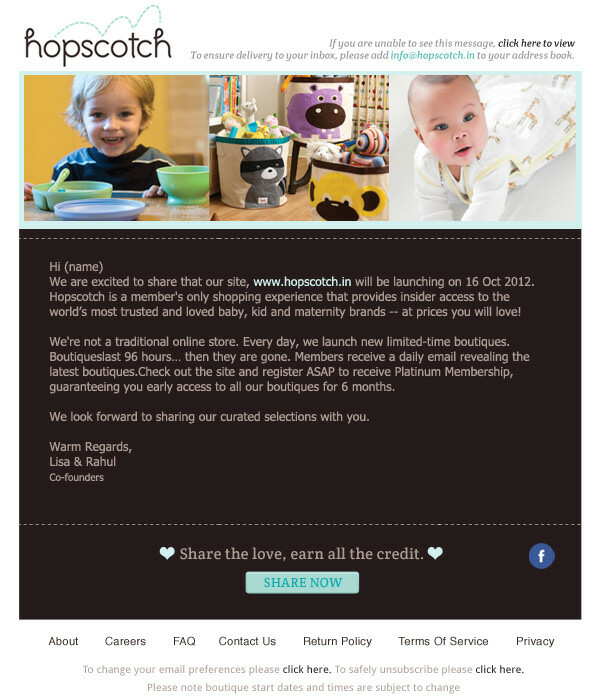 Hopscotch loves to bring moms the best for her and her child, right to her doorstep. It's a warm and friendly online store only for members. We created the 'Splash Page' designs for the online shop and made the sign up process really easy for anyone to register and become a member. 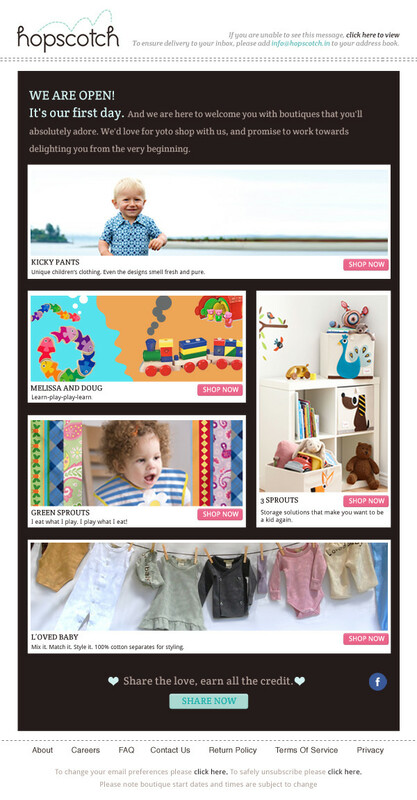 We also created fun and playful emailers that showcase the various products that are available on the website. 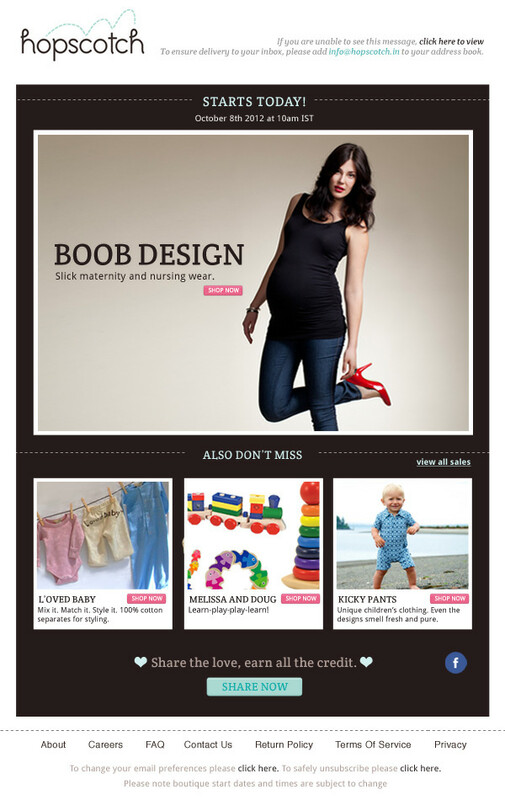 Skarma also creates the graphics for the online store on a daily basis for the website and emailers. We use the images provided by the brands and add an element of fun to it before it goes up on the site.